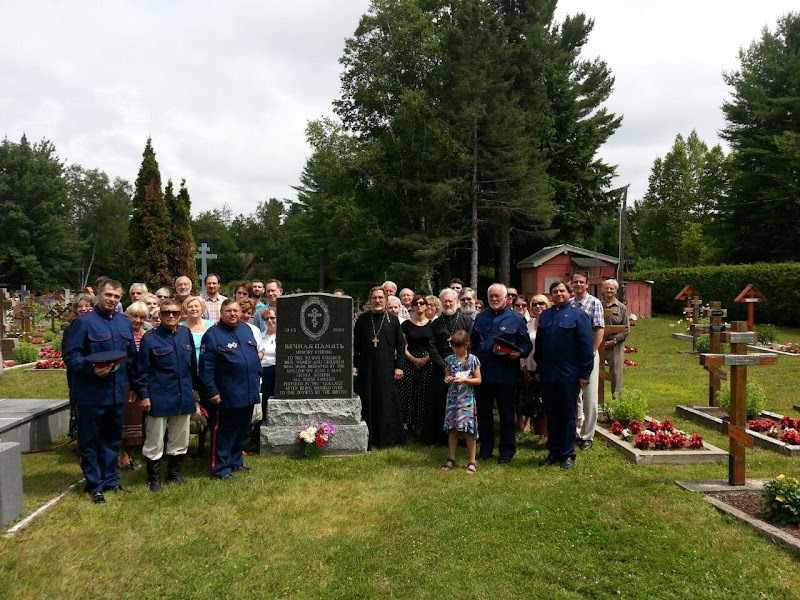 On Saturday July 25th, 2015 the All Cossack Stanitsa In the Name of Ataman Kaledin held their annual picnic in the the town Rawdon, North of Montreal. Rawdon is known for its population of white immigrants, with Cossacks being among them. The Cossacks of the Stanitsa, guests from Toronto, and the Vice Ataman of the Cossack Congress in America for the territory of Canada Canada Ruslan Dimitrov, gathered together in the early morning at the Cemetery, where there was a memorial service to all fall Cossacks in the 20th Century, and the remembrance of the recently passed date June 1st, 2015 which marked the 70th year anniversary of the Cossack massacre in Lienz. Following the memorial service began the picnic, filled with Cossack songs and talks of History. One of the artifacts presented to the All Cossack Stanitsa in the Name of Ataman Kaledin was a book of Cossack History from Imperial Russia dating to the early 19th Century, which will now be kept in the museum of Cossacks in Montreal.